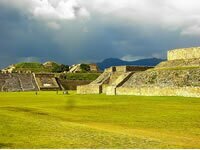 Monte Albán is a big pre-Columbian archaeological place in the southern Mexican state of Oaxaca. The site is placed on a low mountainous array rising above the plain in the central part of the Valley of Oaxaca where the latter's northern Etla, eastern Tlacolula, and southern Zimatlán/Ocotlán (or Valle Grande) branches meet. 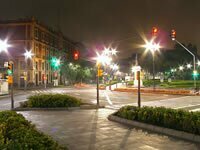 A small number of places in Mexico have so much meaning for locals like the Zocalo of Mexico City, this monumental public space, surrounded by some of the most emblematic urban landmarks in the city, is the fourth biggest plaza on the world and constitutes one of the largest and most important public plazas in the world. 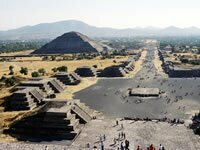 Also in Zocalo of Mexico City, the ceremonial center of Mexico-Tenochtitlan, the capital of the Aztec Empire is situated, ever since the time of Emperor Moctezuma, the area was surrounded by temples, palaces and other buildings. Cenote is a word used only in Mexico that comes from the term “dzonot”, it means sacred, very important for Mayans as divine places for their sacrifices or also supply of water. 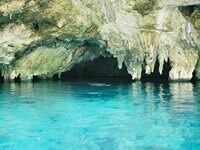 The Cenotes are caves with fresh water in the Karst geological landscape of the Yucatán, they was originated by the erosion of limestone, soft and porous. In Yucatán there are several Cenotes and are great places to have an unbelievable experience. 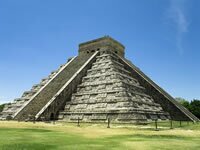 The Yucatán Peninsula has an estimated 10,000 cenotes, many of them unexplored, however the most popular are: of Chichen Itzá, Zaci in Valladolid and X'keken near Valladolid. 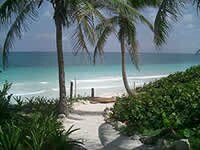 This amazing place has a huge jungle with more than 1 million acres of coastal; approximately 20 percent of the state of Quintana Roo's land, in other words, The Sian Ka'an Biosphere Reserve is one of the largest parks in Mexico. 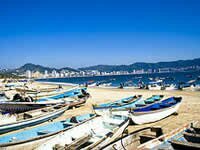 Acapulco is known as "The Pearl of the Pacific", is a Mexican harbor and one of the most important tourist destination in Mexico; Acapulco has experienced a reflourishment in recent times. New investment has brought enhanced infrastructure, a clean bay and good services making Acapulco more easy to get and more enjoyable. 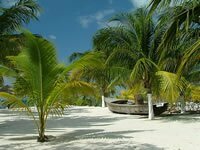 Isla Mujeres (Island of Women) is a picturesque, that is located crossing the bay from Cancún; it was also refuge and home of famous pirates, you can visit the hacienda Mundaca, home of a famous pirate of the same name. 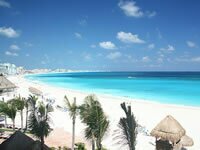 The feel here is calm and rustic, without the noisy feel of Cancun.